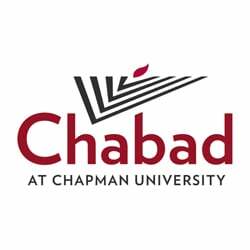 The Chabad On Campus in-depth Israel educational experience linking our Land, our People and our Heritage: IsraeLinks is a unique program offering deep and meaningful exploration of our Jewish heritage — Yesterday, Today & Tomorrow. Three-week extensive guided tours of the country will be accompanied by stimulating lectures and discussions with academic and rabbinic experts. Participants will get to review ancient and contemporary source materials, undertake exciting historical explorations, take part in mentored discussions of Judaism, as well as have a first-hand discovery of the social, religious, and political composition of the Holy Land. IsraeLinks will provide participants with state-of-the-art tour buses, comfortable lodgings, delicious daily meals (including Shabbat), experienced English-speaking tour guides, fully paid entrance fees, and many extras which will make this once-in-a-lifetime trip to Israel cherished and memorable. Only $499*, including airfare from New York and all trip costs (food, lodging & trips, minus occasional meals costs on your own). *There is a fully refundable $150 security deposit that will be returned once the trip, and post trip survey is completed.